As our awareness expands beyond the limitations of what we can see, hear, taste, touch, and smell, we begin to see ourselves and others differently. That allows us to choose different ways of relating to them. At the same time, we begin to see things about ourselves that we might not have noticed before, or often, such as our intentions. This new vista opens amazing new possibilities. For example, when we can choose our intentions consciously, we can choose the consequences they create consciously. Why create painful and destructive consequences when you can as easily create blissful and constructive consequences? Spiritual partners help one another look at their intentions and change them if appropriate. It is always appropriate to change your intention if you want to create healthy and wholesome consequences, and you discover that the intention you are holding will create unhealthy and painful consequences. The Seat of the Soul Institute supports you in developing emotional awareness, responsible choice, and to create authentic power and spiritual partnerships. Valentine’s Day – the day of roses, heart-shaped boxes, and cupids with arrows – is passing, which is symbolic because the age of equating love with roses, heart-shaped boxes, and cupids is passing. In this age that is passing, we often mistook need for love. How could this be? Doesn’t love require signs of affection, shows of constancy, and gifts to seal the bargain? It never has. When someone fears losing your affection, he or she will strive to keep it. Perhaps you have strived to keep someone’s affection, too. Fear of loss is not love. 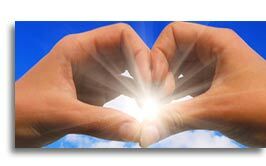 When your intention is to avoid losing “love,” your gifts are manipulations. When it is to appreciate someone with no strings attached, they are expressions of love. We are leaving the age in which appearances were all that mattered because they were all that we could see and entering a new age in which essence is becoming visible. The essence of a person is not the clothing she wears or the things he does. People who love them do not stop loving them when they change clothing or do other things. Your essence is not even your history, culture, race, or what you think and do. It is your soul. A few decades ago “soul” was a theological or poetic word. That is changing. You experience your soul each time you sense yourself as more than a mind and body, your life as meaningful, or you feel that you have gifts to give and you long to give them. You experience your soul when meaning, purpose, gratitude, patience, and appreciation fill you, no matter how briefly. Cultivating those experiences aligns your personality with your soul. That is creating authentic power. Soul-to-soul connection (not appearance-to-appearance connection) is love. (That is why we call this newsletter Soul Connections.) Think of love as the sun. It shines on everyone. The sun is not afraid of losing your love, and it doesn’t even require you to smile back at it. The more you love like the sun shines, the more you become able to look back on Valentine’s Day and see it very differently. I would like to hear your comments. Will you post them on the SoulBlog? I would like to read them. GARY AND OPRAH ON TELEVISION AGAIN ! Join Oprah and Gary for another special Super Soul Sunday on Sunday, March 11 at 11:00 am Eastern Time / 10:00 am Central Time. 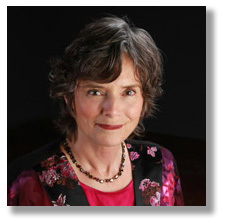 Would you like to hear one of the best conversations about authentic power and spiritual partnerships with the two people who have helped millions of viewers become aware of them? Don’t miss this show! Use the OWN Channel Finder and tune in. Our new, media-rich online course is on sale! Students from India to Texas to China are enjoying its unique seven-chapters, beautiful videos, animations, meditations, interactive questions, a SoulLog to record your answers, an online Spiritual partnership Community! If you have ever wanted to learn authentic power and spiritual partnership real-time with a supportive community of like-minded and like-hearted people, this is your opportunity. 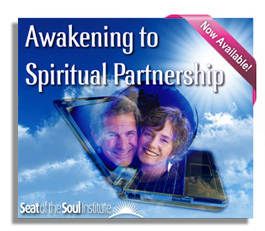 Awakening to Spiritual Partnership is a course you will want to take again and again. 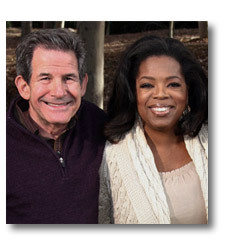 A special 33% discount on the Awakening to Spiritual Partnership online course is waiting for you now on Oprah.com. You don't have to wait for the broadcast to take advantage of this special offer. Click here for your discount code and easy to follow directions. Valentine’s Day has had a deeper and different meaning for me since I chose to be in a spiritual partnership with my Valentine, Gary Zukav. That was almost two decades ago, and what a difference that choice continues to make in my life. It used to be dreadful day for me. I either felt inferior – I was disappointed about not feeling loved OR overly excited about feeling loved – or superior – the day was never good enough for me OR it was better than other people’s Valentine Day because I got what I wanted. I had no idea that all of this was going on. In other words, Valentine’s Day used to be like every other day for me because I was not conscious of my words or actions, much less my intentions. This is the recipe that I used to create with fear instead of with love. Maybe you have used this recipe, too. I am grateful now to know that I have a choice about these things, and I practice daily making every day a conscious Valentine’s Day. I do my best to speak and act with a loving intention, and not just with my spiritual partner, but with everyone I encounter and to see them as my Valentine also. I have a lot of Valentines that way and not just one once a year. Did you have a conscious Valentine’s Day? If so, what a blessing you are! If not, you can begin creating one now, and you don’t need to wait for next February to enjoy it. compulsions, fixations, obsessions, and addictions." Copyright © 2012 Seat of the Soul Institute. All rights reserved.